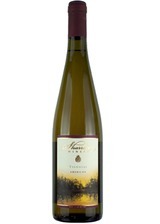 Our Vignoles display a wonderful honeyed-golden color that is immediately appealing. Its slight sweetness complements the natural character of our fruit with aromas of apricot and honey. Serve well chilled as an after-dinner complement of on a hot summer's day.